Teach for America is a nonprofit best known for placing highly motivated but lightly trained college graduates into teaching positions more typically filled by graduates of education schools specifically trained the job. TFA’s teachers receive only five weeks or so of training before being placed in public school classrooms, so one of the nonprofit’s main challenges is in dealing with governmentally mandated teacher certification requirements. Minnesota hasn’t been all that welcoming to Teach for America recently. In May, Minnesota governor Mark Dayton vetoed a $1.5 million TFA earmark in the state budget. (Because local and state chapters of TFA are responsible for at least part of their own fundraising, TFA was less than pleased by the decision.) 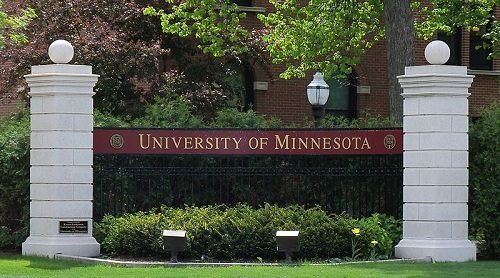 While Governor Dayton was nixing the TFA earmark, TFA had been negotiating with the University of Minnesota to design an alternative licensing program, taking advantage of a 2011 state law that permitted the hiring and placement of teachers who had not completed all of the usual state certification tests and requirements. TFA’s discussions with the University included the possibility of increasing the TFA pre-placement program to go longer than five weeks and including ongoing on-the-job professional development during the first and second years of TFA teachers. While TFA was negotiating with the University, it had also applied to the Minnesota Board of Teaching for a blanket approval of 45 TFA teachers, a practice that had gotten the Board’s approval in the previous four years. This time, the Board denied the blanket approval and will require the TFA teachers to obtain individual approvals. Those who support the TFA and decry the Minnesota Board’s decision blamed the teachers’ unions. Brian Sweeney of the technical assistance provider Charter School Partners called the Board’s decision a “coup d’état…by the unions on Minnesota education policy.” The local press turned out to join TFA supporters and union critics in lambasting the Board’s rejection of a blanket approval of all TFA teachers. The Pioneer Press, for example, suggested that the unions opposed the TFA waiver because they wouldn’t be able to collect union dues from the non-union TFA teachers. Teach for America may have a bit of an easier time in other states where, unlike Minnesota, there may be real difficulties in getting teachers to work. For example, the very conservative Walton Family Foundation just awarded TFA a grant of $4.3 million to expand its work in Arkansas and Mississippi from 550 teachers in the school year that just ended to 582 teachers this coming year and 610 next year. Despite the Waltons’ all-in support, TFA seems to be facing some pushback. One cause is that the short training period results in TFA’s least experienced teachers being placed in classrooms in desperately need of teachers with experience and solid educational training. Another is that in the places where most TFA candidates want to work, there really aren’t teacher shortages, resulting in low-paid, non-union TFA people replacing higher-paid unionized teachers. Must nonprofit status mean starvation wages? Not at all. In fact, Minnesota data show that nonprofits have closed the gap in wages with the public sector and are only $4,000 shy of the average private, for-profit sector wage level.